From time to time, the Barefoot Librarian posts items of interest our users may find informative, entertaining, and educational. Check here first for the latest goings on with the Barefoot Librarian! Read all about the latest This and That news below! I have been selling Kids Yoga Stories books for over 5 years and recommend them highly. The author, Giselle Sharlow, is an educator, parent, and yoga instructor so she brings extensive knowledge and experience to her books and materials. 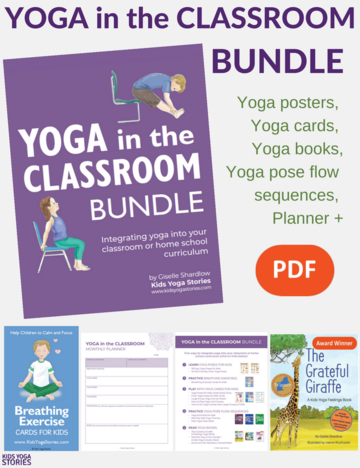 Click here to learn more about this Yoga in the Classroom Bundle! *Barefoot Librarian will earn a commission on these sales.